we built with a FBW falling block in my 585HE for size comparison. Last edited by hubel458; 08-13-2010 at 09:00 AM. Wow! I remember following this on the pervious Gunsnet. It still boggles my mind what you've done. Shooting that with any regularity would definitely give you a skeletal realignment and a permanent "Quasimoto" shuffle. Last edited by alismith; 08-13-2010 at 10:04 AM. 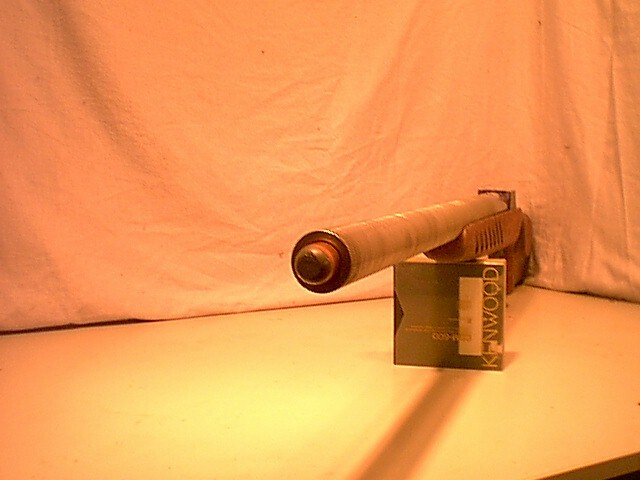 The secret it in gun design and weight. 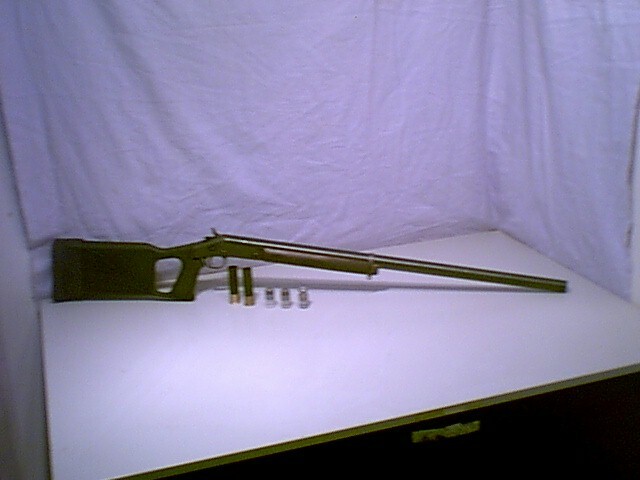 Like the 4bore is 28lbs, thumbhole stock and thick pad. handle it easy. They say wow what thrill. Last edited by hubel458; 08-13-2010 at 10:50 AM. Recoil- Even single shots can be tamed with weight and good stock. in first picture. 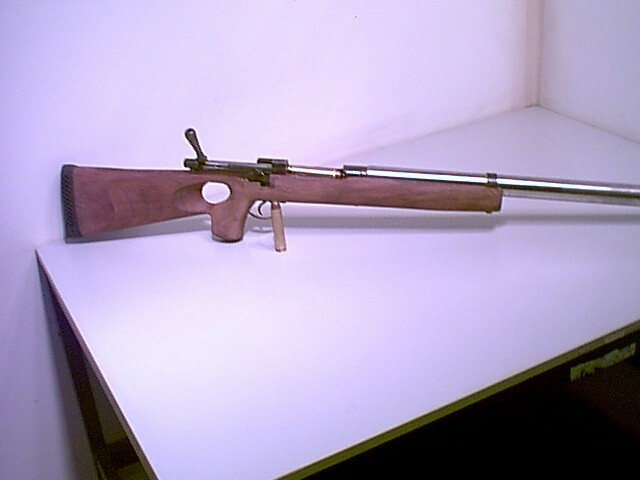 This gun has done more testing than any others here. I tested our long 3.85" case. 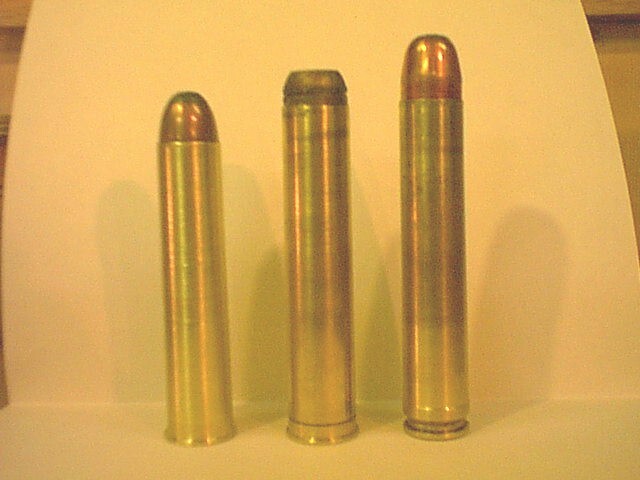 the 3.5' RMC case, and 3" and 3.5"
Win with long heavy barrel chambered for12ga FH 3.5" RMC case. 16GA FH, my 700HE. 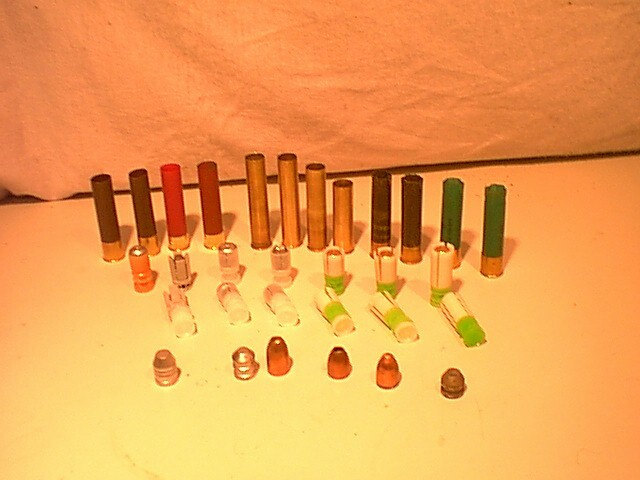 20ga barrel switches to it and use the 3.5"
Last edited by hubel458; 08-15-2010 at 09:22 AM. 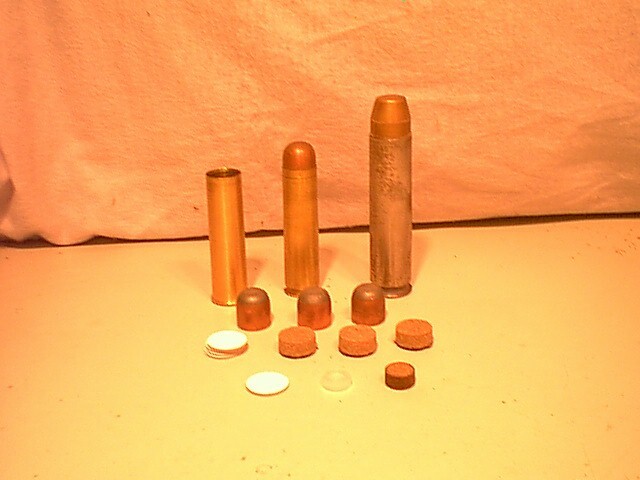 bullets, we have worked on for a number of years. 1st is 499HE with cast bullet. 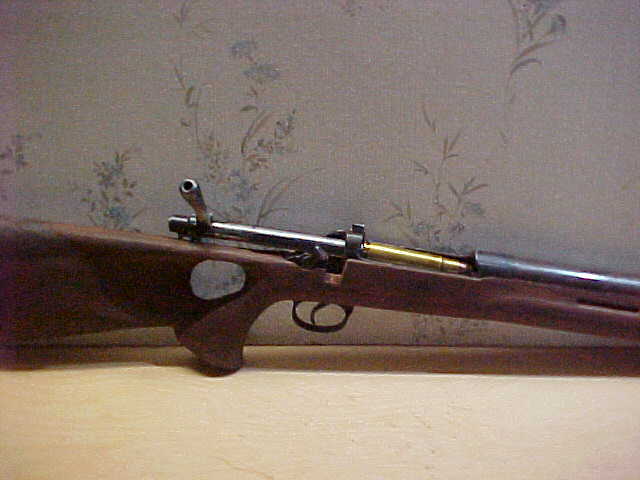 extractor, works Mausers and other shorter actions. 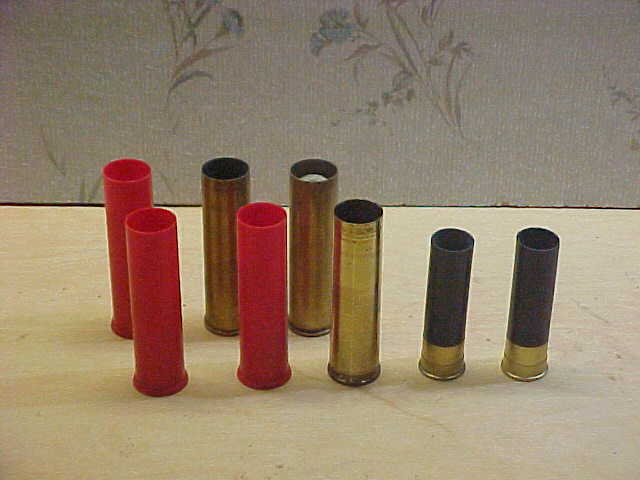 3rd is 12GA FH cases we made by putting on a 12ga base cup. 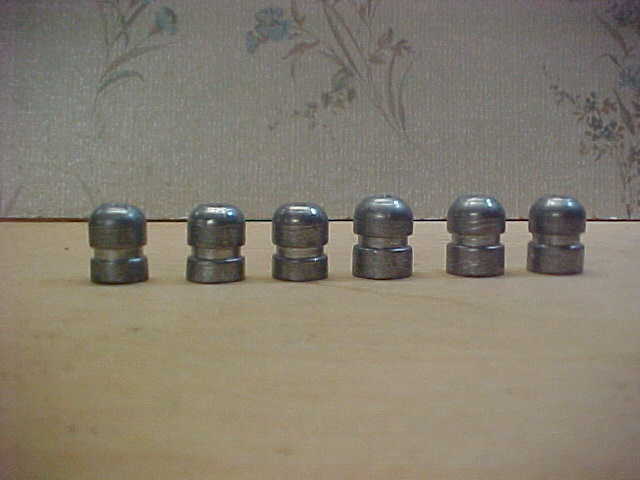 Most are made with a screwed on rim. 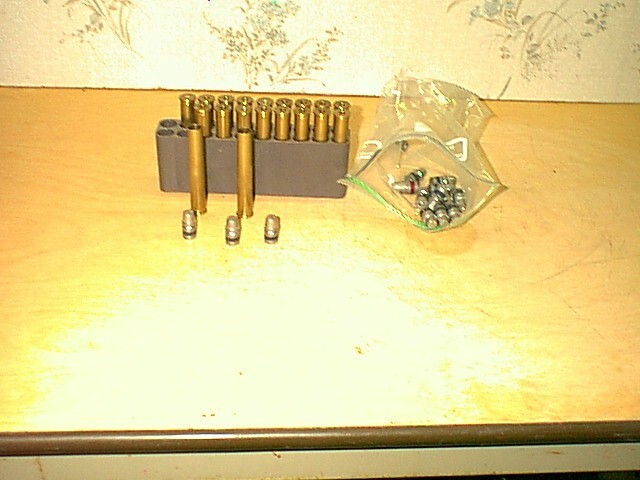 4th is a 12ga belted case made from 55cal boys brass. 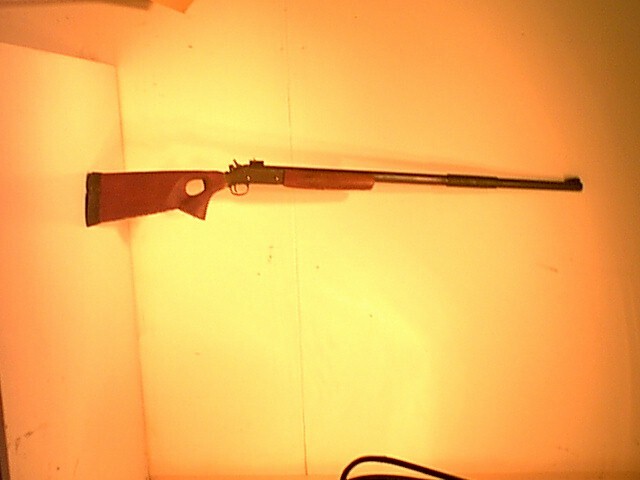 screwedon rim, 3.5" plastic 12ga case. 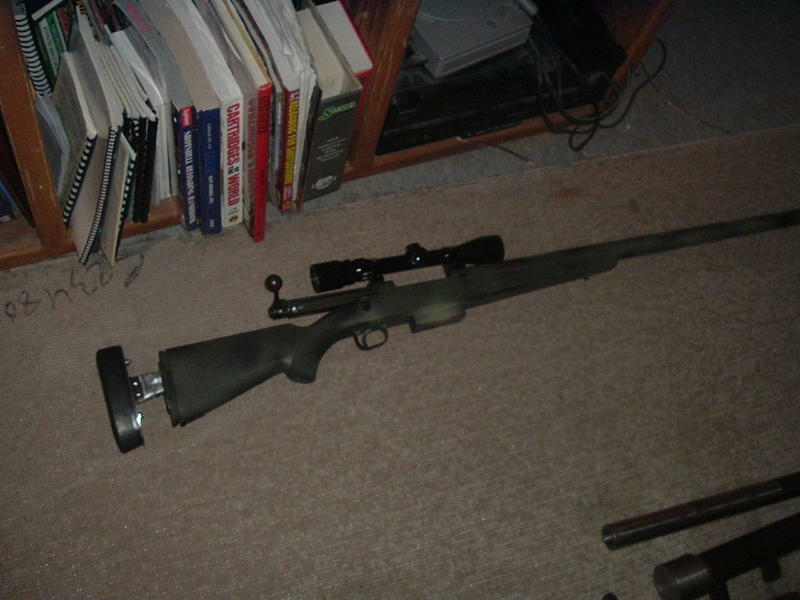 I have this setup in a Mossy bolt gun with heavy barrel. 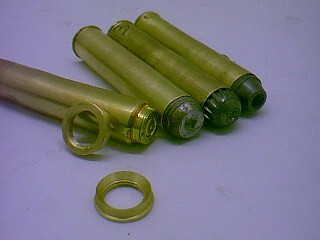 5th is 4 bore cases, slugs and 2bore. 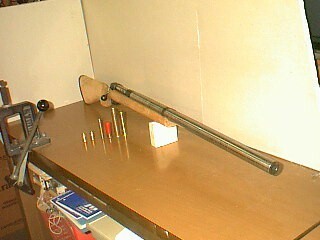 Got a 4bore gun done, pictured above , but got to do a 2bore one. 6th is my 585HE compared to 600OK. 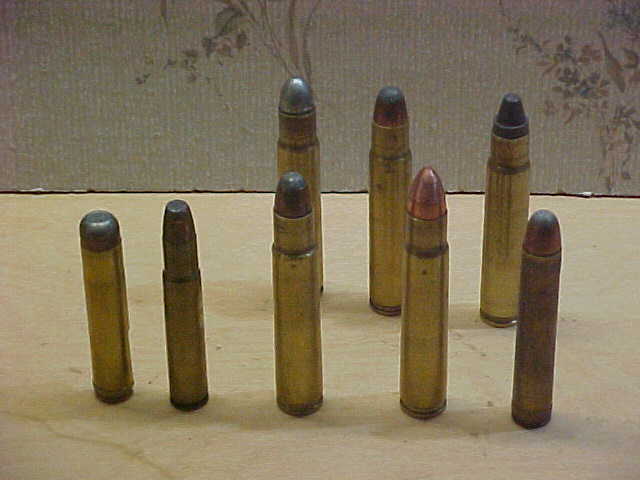 7th is 8ga brass case with 12ga and 28ga. We are boring out heavy barreled 10ga NEFs to 8ga. 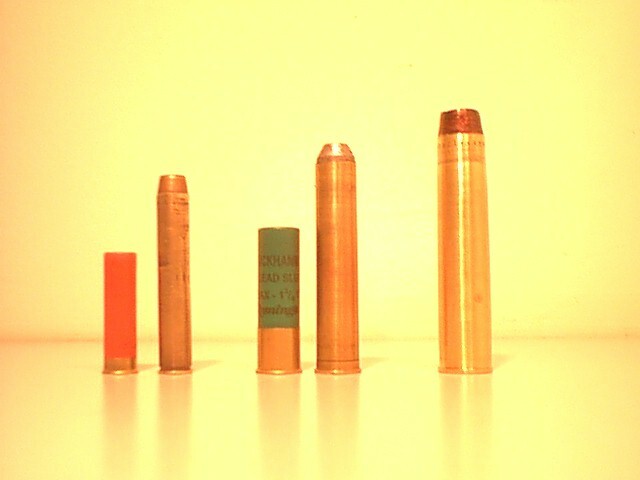 8th is the US-S slug with other 12ga ones we tested. It has the green locked on base, setup in 3 weights. Last edited by hubel458; 08-30-2010 at 07:43 PM. Comparison of slug type and speed for accuracy. 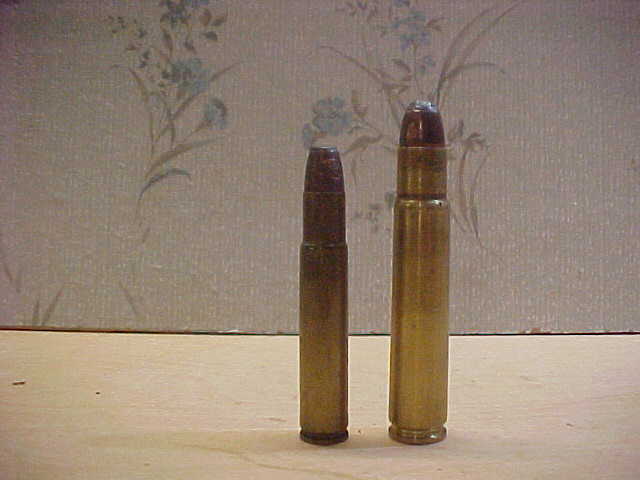 Comparing better 12ga slugs for rifled and smooth. and about 9" at 100yds in heavy barrel. 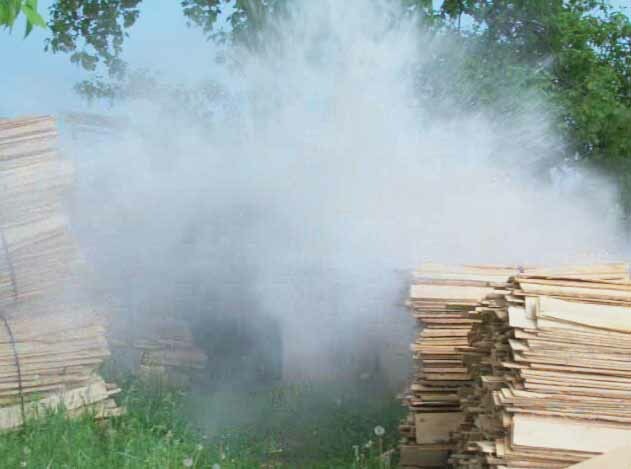 At 2000 fps in smooth bore. BUT Dixie at 2000 2-3" at 50 yds and 6" at 100 yds. enough to be supsonic at longer ranges. high speed in rifled 20ga killing deer at 160 yds. And holding tighter groups at longer ranges. of sound like spire point bullets do.Speed of sound about 1150 fps. 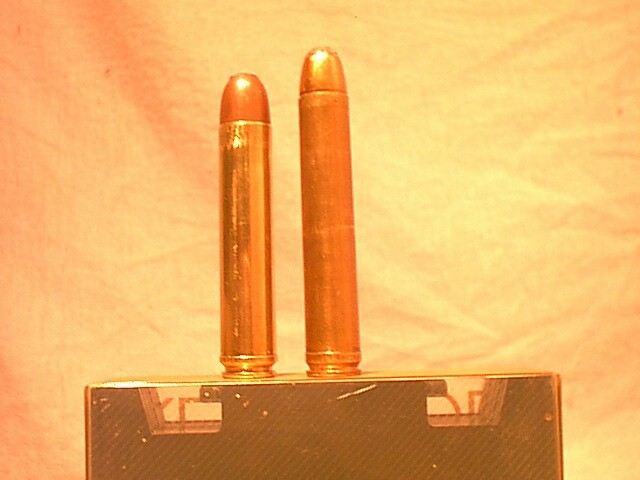 the 3.5" 10 and 12ga Fed primed magnum cases. Makes ignition surer. stronger built than any of the old time brass cases I have seen. About dollar each, go in same chamber as plastic, same strength. 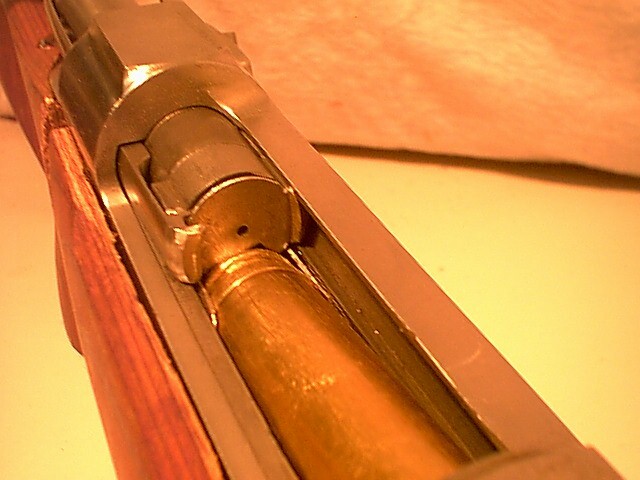 The rifle looking cartridge in a slug gun is what some like.. If you have break action load them with protruding slugs any length. with protruding slug and you can feed from magazine. 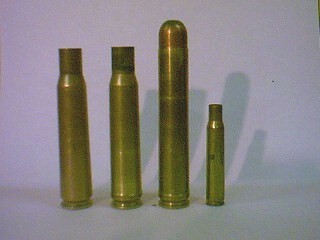 as a 3.5" plastic case roll crimped on same slug, magnum load. 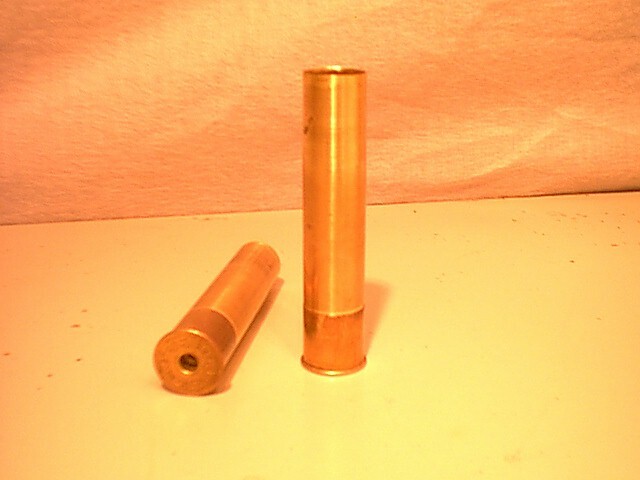 by putting a 12ga size rim pieceon the bmg brass case. We turn off old rim and threaded stub for add on rim. 2nd pic is process of making my 700HE from bmg cases. A 06 case in pic for comparison. Last edited by hubel458; 08-27-2010 at 09:51 AM. the first gun done in 12ga FH.My Savage was the second. 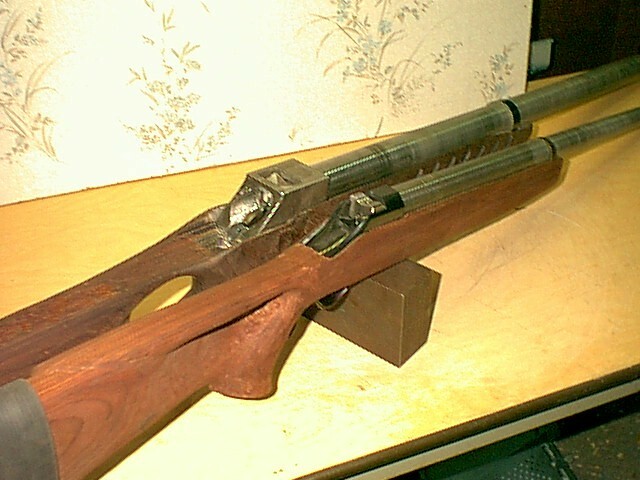 in heavy rifled barrels onto a big 10ga frame. 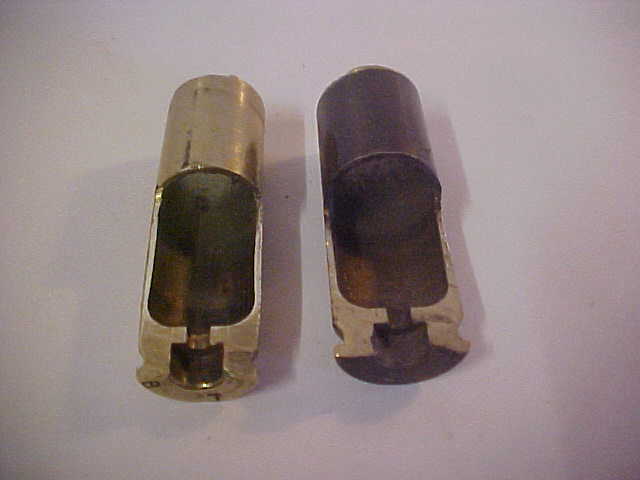 3rd and 4th an 8ga FH a fella on machinists forum setup. bored out NEFs heavy barreled 10ga frames. 5th is the cases Rob makes with headstamp on rim. Last edited by hubel458; 08-28-2010 at 09:32 AM. 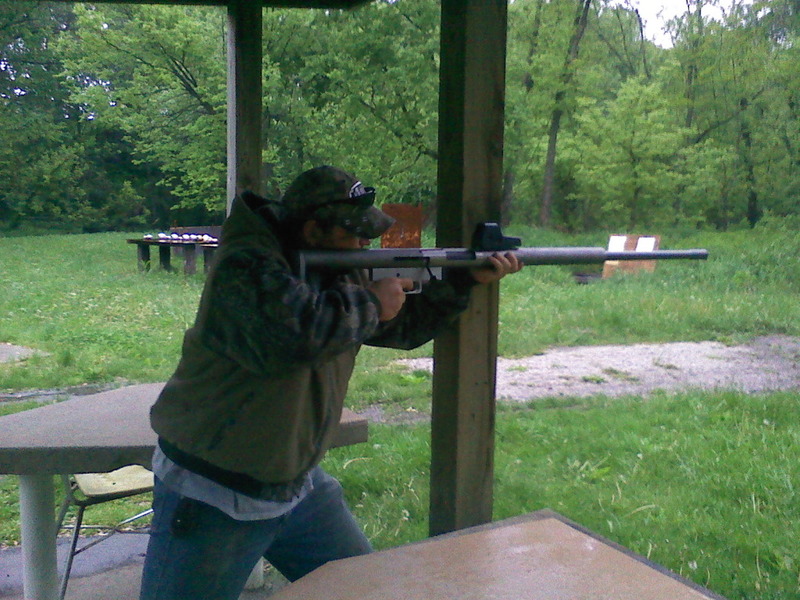 Weight is one of the factors needed to figure recoil energy.. 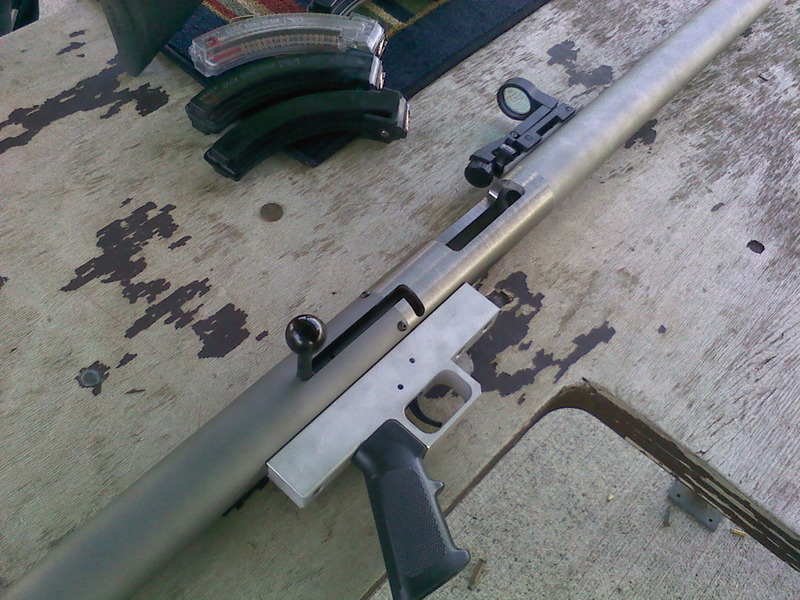 So, this would be your basic home defense weapon, right? Talk about an anti-zombie douchebag weapon. Wow does it come in green? Some of the plastic and laminated stocks are green. Some of the NEFs we get come in camo green pattern. have. No markings. I understand they are Fiocchi. a few loads. And they use about 3 oz shot. 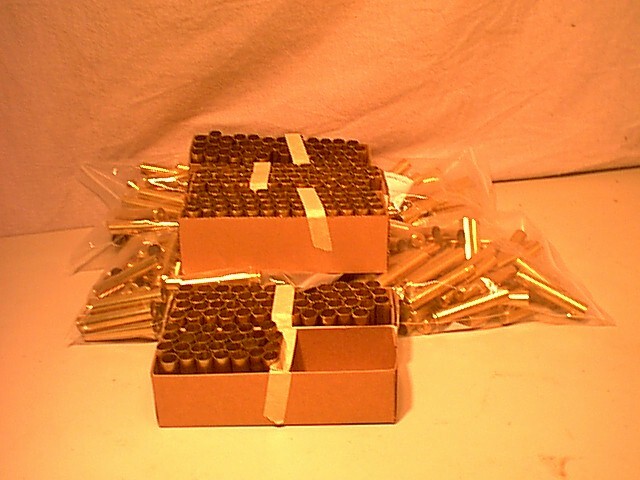 of nine 45cal buckshot, 140 grains each. Total 1260gr, a little less than three ounces. 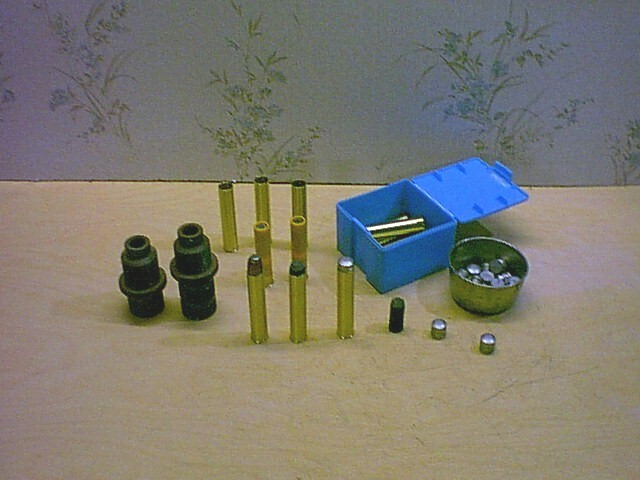 In picture are plastic cases with brass ones and 3.3" 8ga. have bottlenecked cartridge. This led me to a way to do one. long to feed case..Good for over 16,000 ft lbs, Regular 14,000 ft lbs. 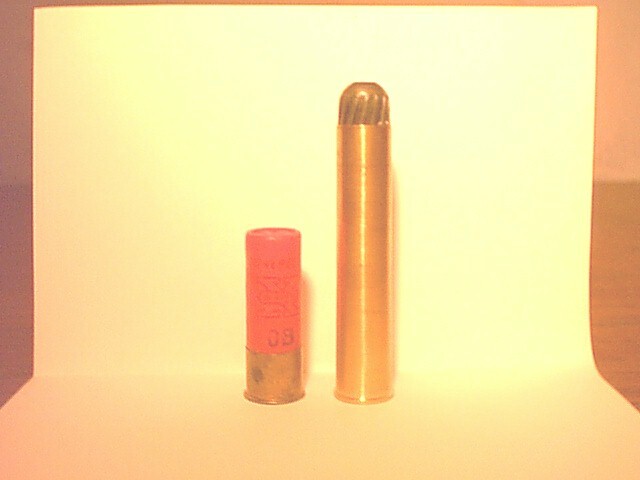 my 700HE.Case hold 250gr ball powder under bullet. 1800 fps. Used duplex load- Blue Dot 100gr, - Re17 150gr. expansion. Just about the limit for an all plastic case. 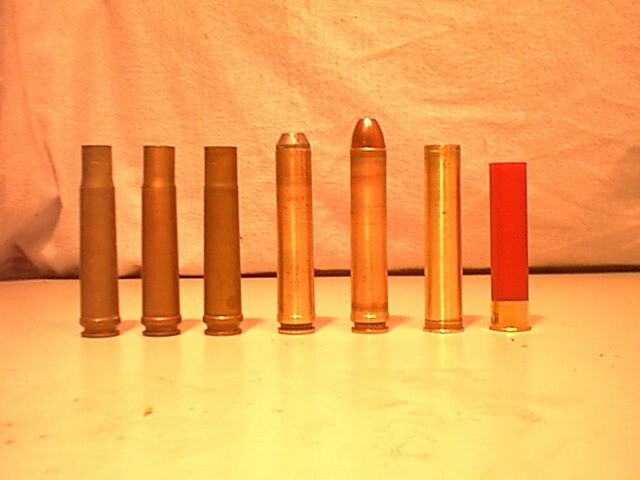 Here is picture 0f 585HSM and some other cases. extracted ok. 3oz #2 shot load at 1500 ok.
Wow! You passed right through Tyrannosaur Class into Brontosaur Class. Nothing alive, or dead, could stand up to those. If you could get 3 Grizzlies to line up in a row, you could get all three with one shot. it is expanded to much. 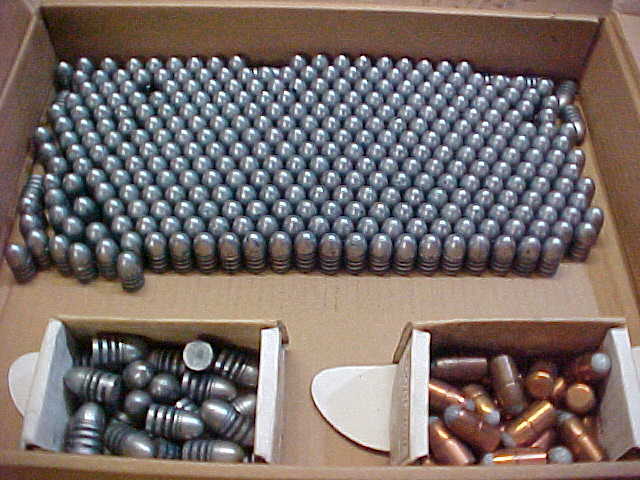 We found some 585 hardcast, sized and lubed bullets. Works ok in my 585s at high speed. Shown in picture. 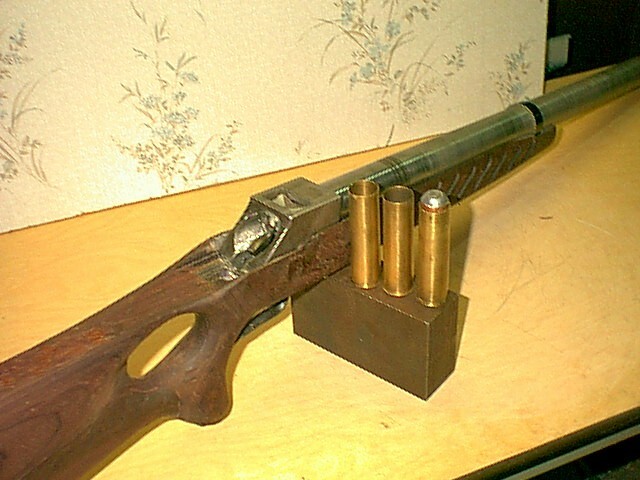 with a 69cal swaged lead bullet in it that Dixie sells. due to NEF making them with heavy bull barrels.